It’s time for another wonderful book to come to life! But first, the cover! Could God ever love a half-blood all of society looks upon with such fear and disdain? Jace once believed so, but when a tragic loss shatters the only peace he’s ever known, his faith crumbles as the nagging doubts he’s tried to put behind him descend on his grieving heart. With them come the haunting memories of the bloodstained past he longs to forget, but can never escape. Taken from home at a young age and raised to serve the emperor, Kyrin Altair and her twin brother live every day under a dangerous pretense of loyalty. After her unique observation skills and perfect memory place her into direct service to the emperor, Kyrin finds herself in further jeopardy as it becomes increasingly difficult to hide her belief in Elôm, the one true God. Following the emperor’s declaration to enforce the worship of false gods under the penalty of death, many lives are endangered. But there are those willing to risk everything to take a stand and offer aid to the persecuted. 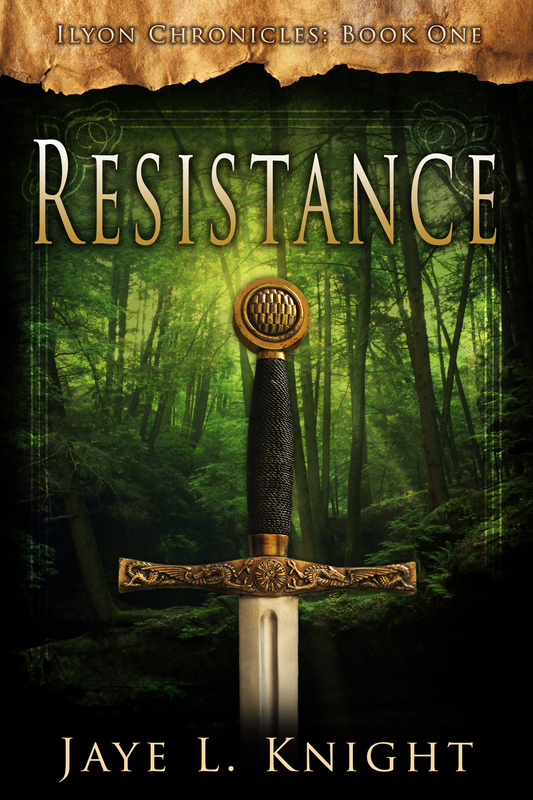 With their lives traveling paths they never could have imagined, Jace and Kyrin must fight to overcome their own fears and conflicts with society as they become part of the resistance. I see green, forest, a sword–all in a yellowish, misty environment. What does it all mean? Hmm, let’s see! Green represents earth. Solid earth. With a sword plunged in the heart of it, I’m guessing there’s a toughness to this story that would require a character, and maybe a few others as well, to face a tough world/battle where they’d have to make tough decisions. They’d have to fight to maintain who they are or what they believe in. Of course, many odds will be thrown at them, some probably so overwhelming, the characters might wonder at some point if they can truly overcome this feat, whatever it is. The forest gives the idea of a journey or a quest, one that must be fulfilled for the character(s) to gain victory. It will be the platform for a defining moment to expose an important virtue (or virtues) that will distinguish a particular character(s) in this story. The very tall and formidable trees indicate it might not be an easy quest at all. The misty environment persuade me to believe that some elements of the story may not be what they appear to be at all, even to the reader. There might be twists and turns that will pave way for suspense and intrigue. I’m fastening my seat belt for awesome shock value with this one! Well, we see how it goes, as I’ll read the book later on and post a review. JAYE L. KNIGHT is a 25-year-old independent author with a passion for writing Christian fantasy and clean NA (New Adult) fiction. Armed with an active imagination and love for adventure, Jaye weaves stories of truth, faith, and courage with the message that even in the deepest darkness, God’s love shines as a light to offer hope. 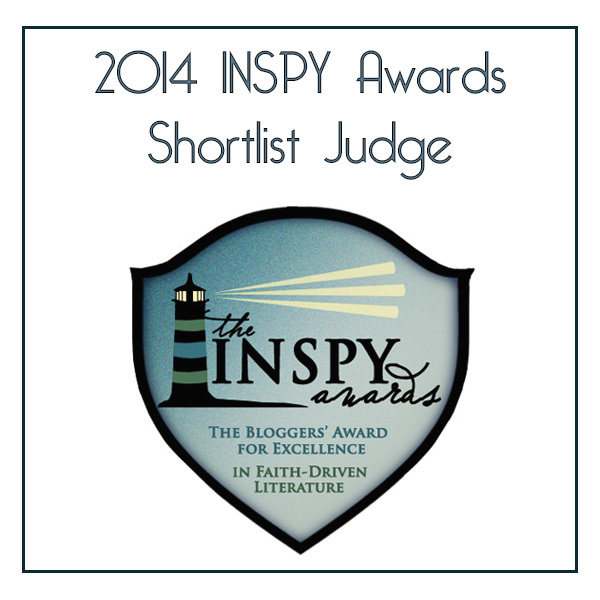 Jaye is a homeschool graduate and has been penning stories since the age of eight. She was previously published as Molly Evangeline. 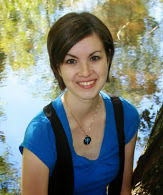 You can learn about her latest writing projects at www.jayelknight.com. Excited for this book’s release? Join us for the blog tour May 20-27, which will include reviews, interviews, a giveaway, and more! Mark your calendars, and check the blog tour page in May for more information. Hope to see you there! You can also find this post on facebook.